This year, I wanted to have my son make a present for his daddy on Father’s Day. Baby J will be 13 months today, so I knew it had to be something simple, and I’d be doing the bulk of the crafting. 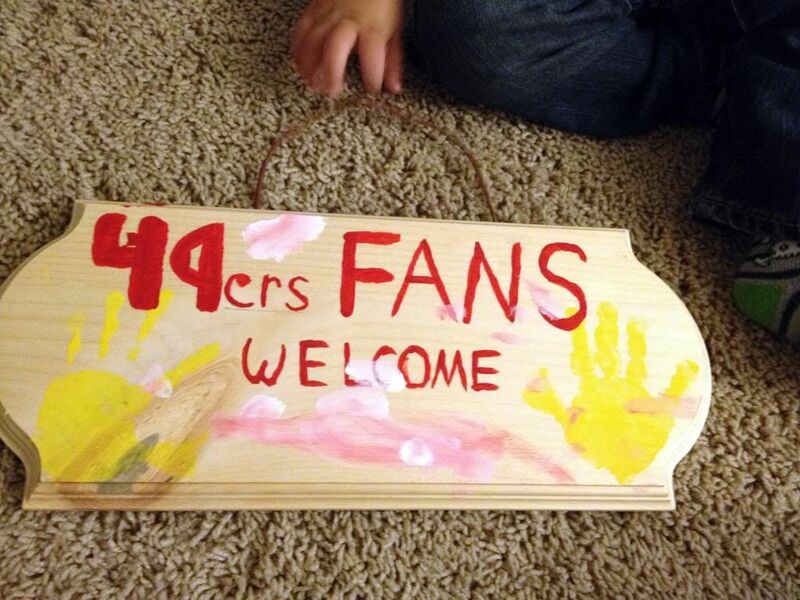 After browsing through our local craft store, I settled on a door sign that features my husband’s favorite team: The San Francisco 49ers. To see how we did it, please click here to read my guest post on Love2EncourageYou. Free shipping on TruKid products now through Monday, March 25!